To answer such a question, researchers perform a comparative effectiveness review by collecting, appraising and synthesizing all studies that compare treatments for the same disease. While clinicians and guideline developers unanimously agree that a treatment hierarchy is essential for public health decisions, methodologists currently debate several issues underpinning the ranking methods (primarily in the form of statistical models). 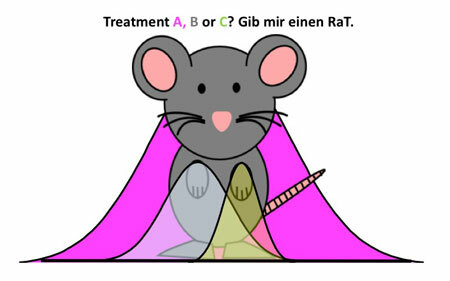 Georgia Salanti’s proposal to enhance the statistical methodology for Ranking Treatments (RaT) was developed in collaboration with Adriani Nikolakopoulou and Theodore Papakonstantinou. The SNF scheme “Projects” will fund two postdoctoral and one doctoral post for three years, starting in June. provide methods that appraise the robustness of the treatment hierarchy in the presence of compromised quality of the included studies. The RaT project will address an urgent need to develop fit-for-purpose ranking metrics to generate treatment hierarchies for a variety of research and clinical questions and evaluate their robustness. It will extend the decision-making arsenal of evidence-based health care and public health with tools that support clinicians, policy makers and patients to make better decisions about the best treatments for a given condition.